In the largest funding round to date for a Thiel Fellow project, Ritesh Agarwal has raised $25 million from Lightspeed, Sequoia and others to build a branded budget hotel network across India. 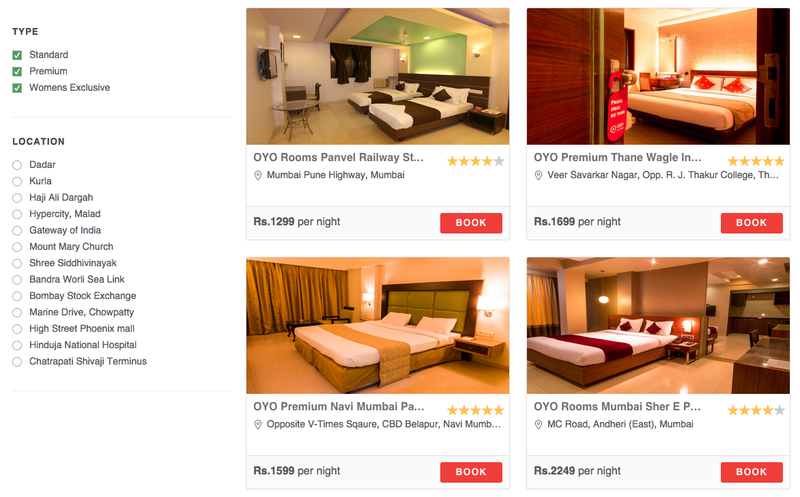 Called OYO Rooms, the company partners with property owners across India and makes sure that their facilities meet a baseline of requirements from linen quality to breakfast to Internet access for a starting price of 999 rupees or $16 a night. The company, which has booked around 60,000 stays so far (Update: per month) since starting almost two years ago, works with each partner hotel to improve their facilities over the span of a week before launching on the platform. While other tech companies like Airbnb also have a growing footprint across the country, Agarwal says that the Indian short-term rental market needs to guarantee a basic quality level that a ratings or reviews system meets only some of the time. While the U.S. and other European countries have long had chains like Best Western or Ibis, he argues that the Indian budget hotel market is still lacking in this area. He compares Airbnb to a Sidecar-like model while OYO has a more Uber-like approach where they focus on instant gratification and minimum quality standards. On the OYO platform, guests can do on-demand booking without waiting for a reply from a host, and they can check in and out instantaneously instead of waiting at a reservation desk. They’ve partnered with more than 200 hotels across 10 cities in India. By the end of the year, they plan to quintuple in size with a network of 1,000 hotels in 25 cities. Along with Lightspeed and Sequoia, Greenoaks Capital and DSG Consumer Partners also participated in the round. Agarwal got his start programming when he was in third grade and he began living out of bed-and-breakfasts regularly before starting OYO. In that year of traveling across India, he realized how difficult it was to get any kind of consistency. Agarwal’s big round comes at a time when the Indian consumer Internet market is finally flourishing after the country has served as a B2B or outsourcing platform for decades. He decided to become a consumer Internet entrepreneur around the time that Flipkart and Snapdeal were founded. Both are now two of India’s “unicorns,” or web companies valued at well over $1 billion each.